Witchcraft has played an important role in history. However, in the 21st century, practising it has become more of an aesthetic to some and continued to be a way of life for others. When researching certain practices, you realise that many cultures in history have always had their fair share of witches and witchcraft, whether they are referred to like that or not. Witches of today don’t all gather around a boiling cauldron and chant in verses of threes. These days the craft is being used for healing and success. Using positive energy and other techniques to dispel negative energies from your life. With the help of essential oils, herbs and crystals, cleansing a space or oneself have never been easier. With online and physical stores popping up in and around London, access to the tools needed to practice white magic has never been easier. The craft uses techniques that are used by everyday people like meditation. Centring yourself and opening your mind in order to relax and prepare yourself for certain situations can be a way of healing and bettering your mental state. This is a modern way of doing a spell, by using creative visualisation once mindful meditation has been achieved through practice. These are practices of white magic, which is magic used only for the good of oneself and others. Witchcraft has been a part of history in multiple forms depending on the culture that it is derived from. American scholar, Carole Fontaine, once argued in an interview that witches have been around for as long as there has been diseases and disasters plaguing mankind. Ancient Sumerians are the first recorded reference to using crystals; they were used by them in their magic formulas. Even the Ancient Egyptians were known to have used crystals such as Topaz and Peridot to purge any evil spirits and to help them combat nightmares. They also used green stones in burials as they saw it as a symbol of the heart of the deceased. 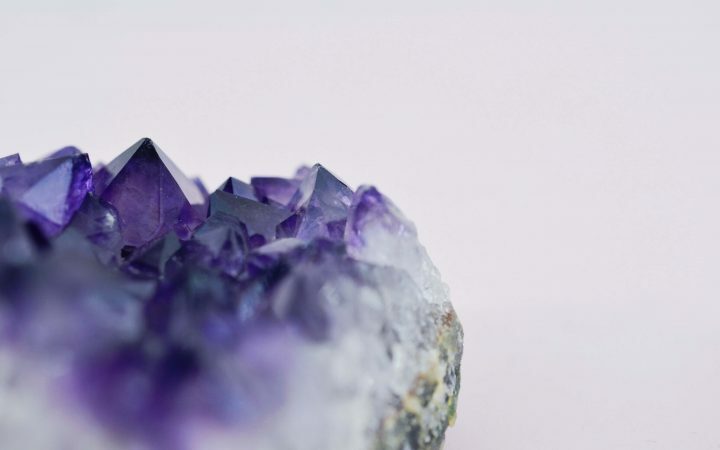 The Ancient Greeks used Amethyst, which means ‘not drunken’, to prevent both drunkenness and hangovers – the crystal was typically worn as an amulet. The beginning of using crystals for healing was in 1609 when court physician Rudolf II of Germany suggested that a gemstones virtue is from the presence of good or bad angels. 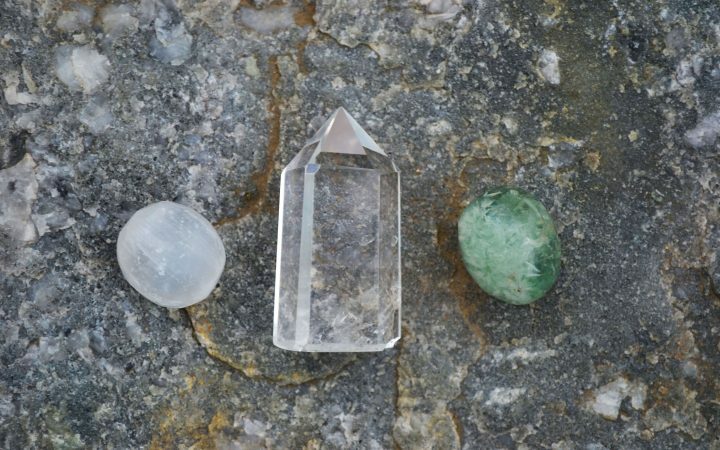 The belief of crystal healing eventually fell from favour in Europe until the 19th century when a number of experiments were carried out to demonstrate the effects of crystals and gemstones on subjects who classified themselves as a clairvoyant. One subject claimed that when they were touched with the stone could not only feel the physical and emotional charges attached to it but the taste and smells too. With modern day witchcraft, there are examples of celebrities being rumoured or admitting to practising it. One of the most notorious celebrities connected to witchcraft is Stevie Nicks, who appeared on American Horror Story Coven and Apocalypse as a witch. However, the singer has denied many times that she is a witch, which hasn’t stopped more speculation by fans and members of the public reading more into Fleetwood Mac’s songs and Stevie’s actions. Elsewhere, the founder of rock band Led Zeppelin, Jimmy Page, is another high profile name connected with witchcraft and before the band was born he owned an occult bookstore and publishing house. There are many more celebrity links, such as Kate Bush, Grimes and Daryll Hall from the duo Hall & Oates. She described her way of practising to Artefact: “My personal craft is all linked to astrology.” She does this by using birth charts, the phases of the moon, the signs that the sun and moon are in, and whether planets are in retrograde. The current debate centres on whether modern day witchcraft has become more of a fad and used as an ‘aesthetic’ or trend. “I think Tumblr has a hand in that, and American Horror Story. You only have to look at Sephora’s ‘Witch Kits’ to see how bad it’s got. It’s also been hugely white-washed. People seem to think that witches started with the Christian religion, but that’s not right. The practices of Voodoo and Hoodoo have been around in Africa forever, the craft was originated by PoC, and that should not be written out of existence,” Christina told us. A quick Google search shows it is easy to find a plethora of information on witchcraft and how to begin practising. Websites posting “Five simple spells for beginners” almost takes away from the true art and passion behind the craft and those who have dedicated themselves to practising it safely. Not to drag down those who do follow posts which water down easy tricks and tips for those are starting out. There is a consistent negative viewpoint of witches in society, from childhood, through fairytales we have been programmed to fear witches without considering white witches. They practice only light magic as opposed to the witches practising black magic. They don’t deal in hexes and all things demonic and satanic; they chose to focus on healing and better themselves and those around them. 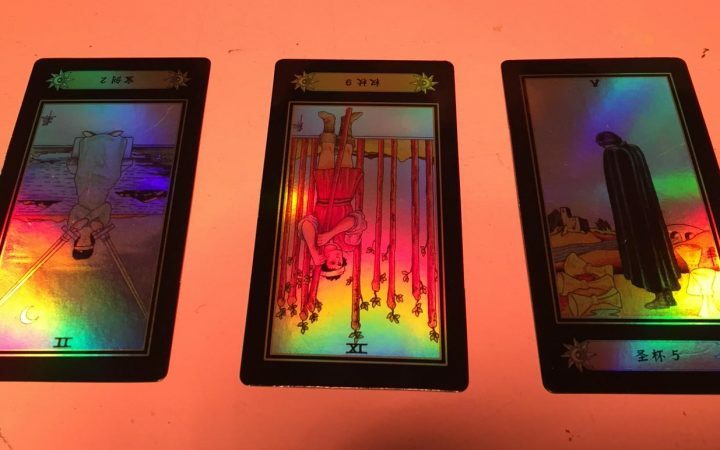 Tarot and divination is another practice associated with those who identify as witches and those who do not but have an interest in this particular ritual. Having taken part in a tarot card reading, the experience is intense, but you can choose to take out of it what you want to. For example, the death card does not mean physical it is symbolic of the end of a relationship or interest and implies an increase in your self-awareness. After a Tarot reading, don’t take everything as law and start acting on every little detail that was revealed by the cards, it is best to let changes progress naturally. Mia Weshner, 22, from London, has been practising tarot card readings ever since she was young, and would spend her summers with their friends reading each others Tarot. However, while Mia doesn’t identify as a witch she does profess a love for the practice of Tarot readings. The origin of Tarot cards was thought to have evolved from regular playing cards. However, others claim this is untrue, and that the tarot decks were originally a game. In 1781 French and English occult members discovered Tarot, viewing the symbolic pictures on the cards to have more meaning to them than the usual trump cards being used at the time. And so began the use of the cards as a divination tool and it became a popular part of the occult philosophy. Modern day witchcraft has a clear link to that of the past, but with new technology and information at hand, it is a changing craft. It may be too easy to appropriate cultures when getting involved in certain crafts, but a simple enlightenment using the internet should make those interested aware in what is and isn’t for them to practice. As Christina told us, no two witches are the same. There really cannot be a pigeonhole for the people identifying as witches. Each witch will have their own preferences for practices. 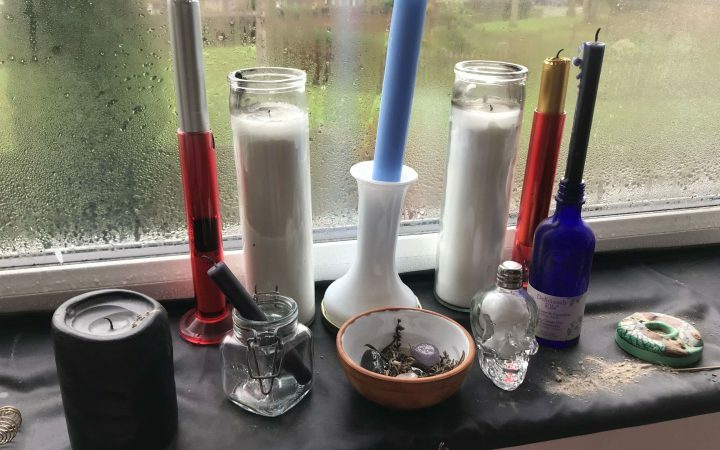 As long as you are respectful of cultures, practising witchcraft is something to try, surrounding yourself with positive energy and intentions can be beneficial to you as a whole.